Next Tuesday, July 17th, will be a big day for New Yorkers concerned with the impact of megatowers on our city as two high profile projects on the Upper East and Upper West Sides will have their day at the Board of Standards and Appeals. 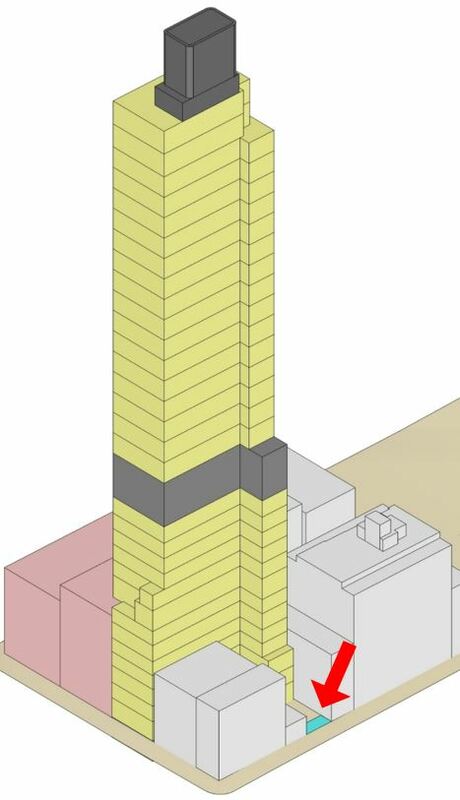 The project at 180 East 88th Street has been making headlines since its zoning gymnastics were covered in the New York Times, involving the creation of a tiny new lot carved out of the development site for no other purpose than to evade zoning rules applying to that location (see graphic to the left). Under the improper approval of the Buildings Department, this building explicitly violates the intent of zoning rules meant to foster livable neighborhoods and good urban design. The Department of Buildings itself acknowledged the intention behind the micro-lot when it issued a Stop Work Order in May 2016, noting that “a zoning lot cannot be subdivided into a 4-foot lot for the sole purpose of avoiding a zoning requirement.” The Department later reversed itself when the size of the lot was increased by six feet, and allowed work to continue. FRIENDS joined our colleagues at Carnegie Hill Neighbors in 2017 to challenge the Department’s approval of 180 East 88th Street at the Board of Standards and Appeals (BSA), with a hearing scheduled for July 17th. 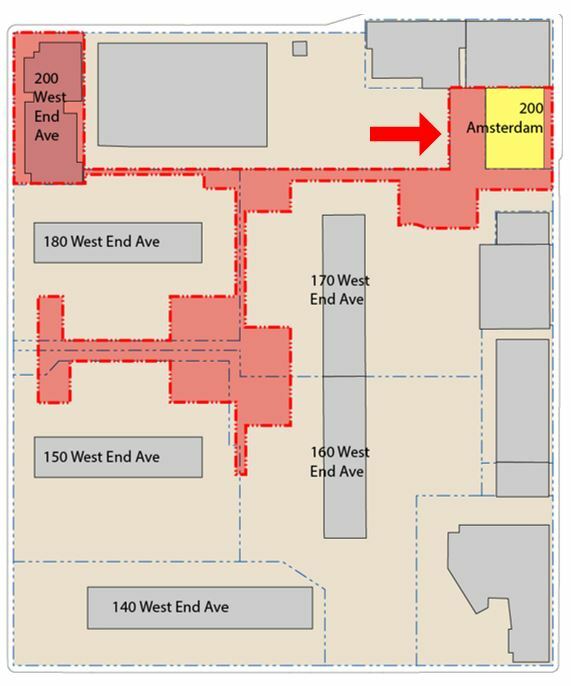 At the same hearing, a final decision will be announced regarding 200 Amsterdam Avenue, the gerrymandered “jigsaw puzzle” zoning lot (pictured, right) on the Upper West Side. Both projects use tactics that undermine the predictability of development in New York, nullify zoning provisions that were designed to promote livability and thoughtful urban design, and threaten our residential neighborhoods. We urge the Board of Standards and Appeals to uphold the integrity of our Zoning Resolution and prohibit the sculpting of lots to evade the City’s own rules. YOUR PRESENCE MATTERS! Show your support through attendance or public testimony.